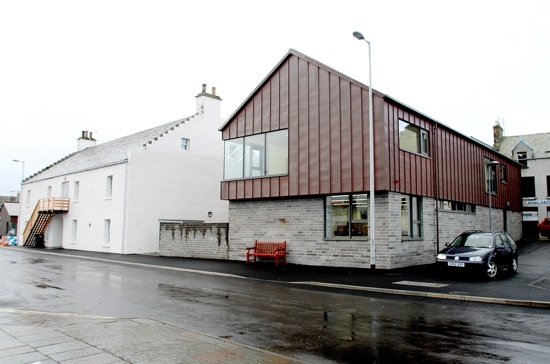 Thanks to one of our members for drawing our attention to another BBC Radio 4 broadcast with a Stromness connection. 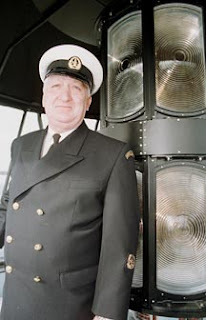 The episode of the obituary programme Last Word, broadcast on Friday 31st May, featured the late Angus Hutchison - Stromness resident, former Islands Councillor and the last Principal Lighthouse Keeper in Scotland - who sadly died in March this year. The programme features archive recordings of Angus speaking about the automation of the Fair Isle South lighthouse, the last Northern Lighthouse Board manned lighthouse to be automated, and his role as the last principal lighthouse keeper in Scotland. The programme also speaks to Angus's daughter Gail. You can listen to to the programme on the BBC iPlayer here. 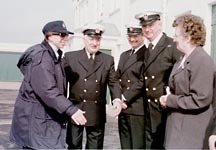 The Fair Isle Times edition of 18th April 1998 is available online and includes a piece on the last shift at Fair Isle South, when Princess Anne visited the lighthouse to mark the change over to automation. 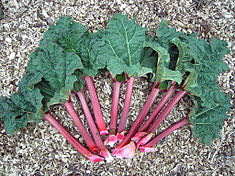 Well here we are in June- the sun is shining, the birds are singing, and the weeds are growing, but so is the rhubarb! One of Orkney's most reliable fruit crops, there can't be many gardens in the islands without a rhubarb patch and the accompanying favourite family recipes for crumble or jam. This year however we were alerted to a recipe new to us, but tried and tested by the Orkney College restaurant and printed in their All Stirred Up cookbook. Orkney Rhubarb Cake features 1 1/2lb of rhubarb simply washed and prepared and then slow baked, layered between the cake mixture. We have to admit to being unconvinced by the cake's appearance when it went into the oven, but what came out can only be described as delicious! Served hot with Orkney ice cream it makes a fabulous pudding, but is just as good cold. If you would like to try the recipe for yourself then you'll be pleased to know we've returned the Stromness copy so it is ready and waiting, all you need to do is pick the rhubarb. Please feel free to share your own favourite rhubarb recipes in the comments below.